With a name like, “Imagistory - Creative Storytelling App for Kids”, how could I not check this app out? Something that links imagination, story and creativity for kids sounds just about perfect to me! Similar to wordless picture books, Imagistory encourages children to record themselves making up a story about sequential images. The recorded stories can be listened to again, and shared with others. 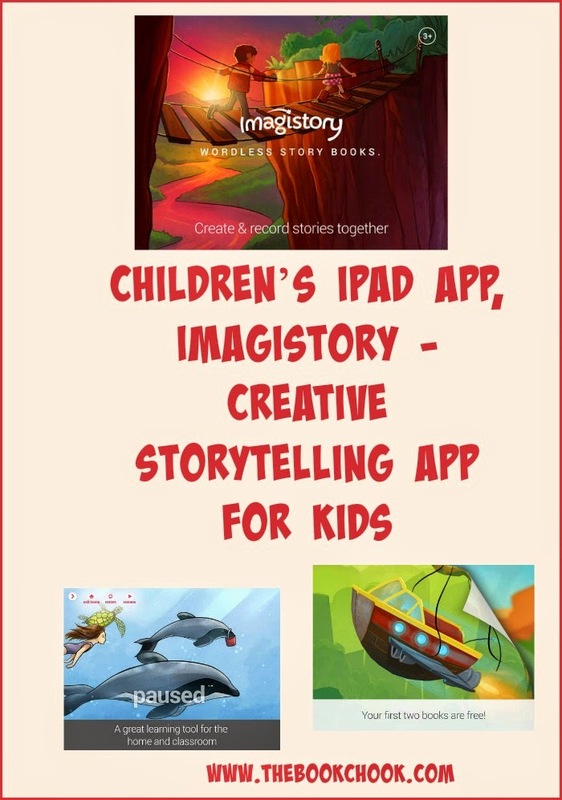 Bring your child's imagination to life with imagistory! A creative storytelling app that encourages anyone to be the storyteller, no matter what your age or language. Designed for children aged 3 and up, the idea behind the app is simple, using wordless picture books it's up to you and your child to use your imaginations to create a story with the pictures. The stories you create are recorded and saved so you can listen to them again later and share them with loved ones. The open nature of wordless picture books gives them a huge variety of potential uses, making them great tools for the class room too. Kids have the wildest imaginations and are already natural storytellers, so help them discover this and unleash their storytelling potential. What I liked: I do so appreciate an app that's clear from the start. I also love when developers take parents’ and teachers’ privacy concerns seriously. Kids will find it easy to navigate Imagistory until it comes time for sharing their story - then it’s up to an adult to help. One of the horrors I have developed from checking out so many apps for kids is garish art work - flat, big-eyed characters with as much charm as a fish finger. Imagistory Publishing seems to be employing a range of illustrators to create the wordless stories offered, so kids get access to a range of illustration styles - none of them garish! I like the business model - two free stories so you can try before you buy. Other stories are available at a reasonable cost - $AU2.49. The two (free) stories I looked at had engaging images that hinted at a story, while still leaving room for children to put their own spin on them.